On Thursday, March 18, 1993, Washington State Patrol Trooper Steve Frink clocked a Mercedes traveling eastbound on I-90 going 82 MPH. The car was being driven by a fifteen year-old Bellevue High School student heading back to campus from lunch in Seattle’s International District. Trooper Frink attempted to stop the Mercedes near 77th Avenue Southeast as it continued traveling eastbound on I-90.  Trooper Frink radioed communications that he was attempting to overtake the speeding suspect vehicle and his radio suddenly cut out. The suspect exited to Island Crest Way, collided with the northern jersey barrier wall and spun around inside the tunnel, facing Trooper Frink. As Trooper Frink entered the tunnel, he approached the sharp right-hand turn. He drove up onto the tunnel wall where he struck a barrier. He was thrown off of his motorcycle and his head struck a light pole. His riderless motorcycle traveled another 150 feet before it fell from the wall, coming to rest in the middle of the off-ramp. The suspect saw Trooper Frink crash, backed up and drove away. The suspect drove into a private driveway where he and a passenger changed a flat tire and walked off. They were arrested a short time later by the Mercer Island Police Department. On March 22, 1993, Trooper Frink died at Overlake Hospital in Bellevue from head and chest injuries suffered in the collision. The suspect was eventually charged with felony hit and run, attempting to elude, reckless driving and no valid operator’s license. He served thirty days at the King County Youth Service Center. 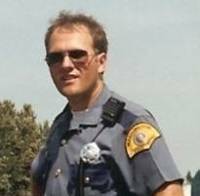 Trooper Frink served the Washington State Patrol for eight years; he graduated in the 62nd Trooper Basic Training class and was assigned to District 2’s motors detachment. He was the twenty-fifth Washington State Patrol trooper and seventh motors trooper to die in the line of duty. He is survived by his wife, daughter and son; his mother and father and his brother, also a Washington State Patrol Trooper.